For something a bit different, Gruzinskie Chaczapuri has a strong Georgian influence, with a drinks list to complement. Hearty food is matched by the service. 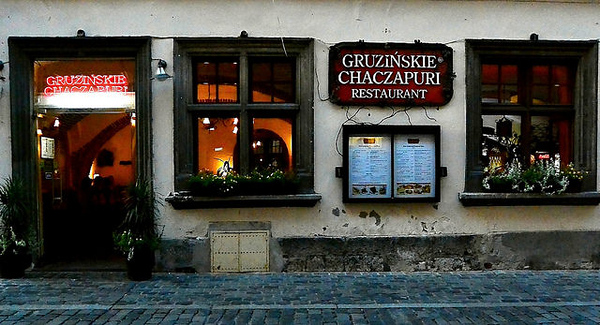 On Grodzka, one of Kraków’s oldest streets, Gruzinskie Chaczapuri specialises in Polish cuisine but also offers Georgian items like khachapuri and Eastern European shashlik. The food is plated in a basic manner but is hearty and worth the €8-11 per dish. There’s also an exciting range of Georgian wines, which makes the restaurant a good choice for something different. Good service too.